Executive Speechwriting. As an accomplished speaker and corporate communicator, Tom's unique talents have often been tapped to craft speeches for business executives and political leaders. PowerPoint Specialist. 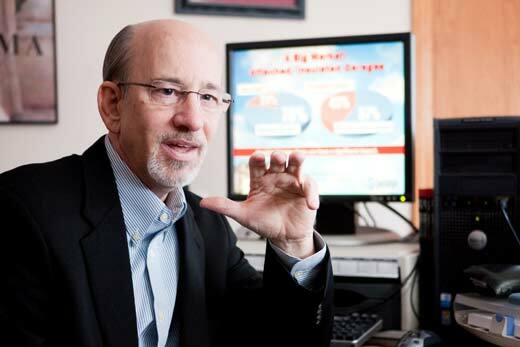 Since 1996, Tom has created thousands of expert-level PowerPoint slides for national and international associations and	corporations and for strategic presentations to the federal government. Video Scriptwriting. Being involved in more than 2,000 corporate videos as the narrator, Tom has also often been the chief writer and director for award-winning video productions. Tom's work as a speaker and announcer gets all the attention. But his work as a writer and strategic communicator consumes most of his time. For more than 30 years, he has been involved daily in crafting strategic communications for mass audience. Media Relations. Having worked in the broadcast and print news media for more than 20 years, he knows what the media wants and how they want it. Press Releases. As a press release expert, Tom has crafted hundreds of releases that have been published in hundreds of top media outlets from coast to coast. Corporate Spokesman. Tom has not only been the major architect of a national public relations campaign, but he has also served as the key national spokesman to consumers and the media. Magazine Writing/Editing. As the managing editor of a national trade magazine for more than a decade, Tom has published more than 300 articles for an audience of 20,000+. Newsletter Writing/Editing. Since 1989, Tom has written and edited more than 100 business newsletters and enewsletters for national and international audiences in several industries.